There’s always been a saying about how grass is much greener on the other side. 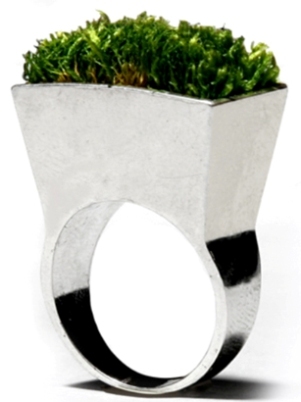 This is evident with designer Hafsteinn Juliusson who has created this eco friendly ring that combines gardening and jewellery. In order to keep your ring looking evergreen, make sure to water the ring every five weeks and store in a deep freezer helps to preserve the natural goodness. Tellusfashion loves this ring and we hope you like it too! 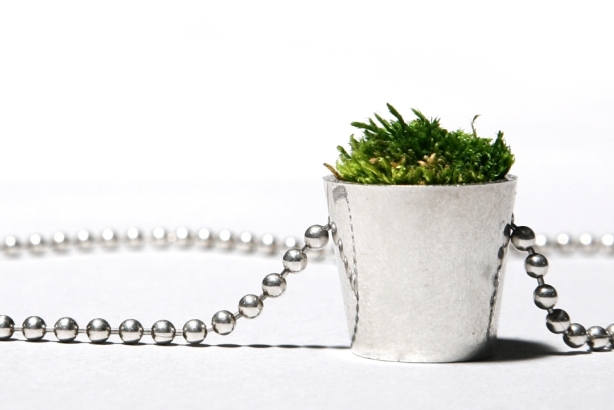 If you want to go all the way, you can wear it with a grass pot necklace. This entry was posted on June 4, 2011 by Upaul Chowdhury. It was filed under Fashion and was tagged with Fashion, Haf by Hafsteinn Juliusson, jewellery, TellusFashion.